Tulsa World review by Kelly Bostian! Sunday, February 7, our book received a fantastic review in the Tulsa World. Check it out below! Also this month, this article (below) appeared in Midwest Outdoors, written by our good friend and famous lure collector, Dan Basore. Do you want to start a debate? Just ask any group of bass chasers, Whose the best? And fur will fly. But some of the greatest names in bassin’ have no doubt it’s Glen Andrews. Before there was BASS and Bassmaster tournaments the “World Series of Sport Fishing” tournaments were conducted for ten years. 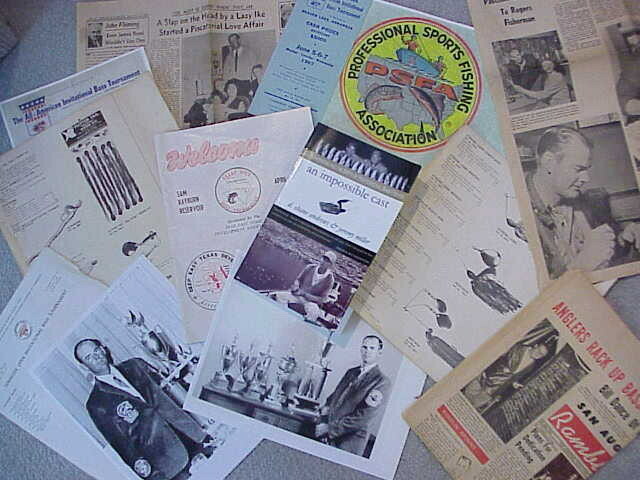 It’s champions include well known fishermen who hosted television shows including Harold Ensley “The Sportsman’s Friend” that ran for 48 years, Virgil Ward of “Championship Fishing”, Joe Krieger, “The Joe Krieger Sportsman Show” and Jimmy Houston host of ESPN’s “Jimmy Houston Outdoors”. Bill Dance, (23 National wins, three time BASS Angler of the Year), couldn’t say enough about how Glen had taught him so much. In a letter to Shane Andrews, Glen’s son, Dance wrote, “It’s amazing to me how you can meet someone and it can change your whole direction in life. There can be absolutely no doubt that I wouldn’t be doing what I am today had our lines not crossed back then”. First and a two time winner of the Bassmaster Classic and student of Glen, Bobby Murray wrote, “Glen is probably the greatest angler that no one has ever heard of. However his influence on modern bass fishing is unparalleled by any other angler”. As we filmed a segment of the long running ESPN “The Fishin’ Hole”, Jerry McKinnis not only extolled the expertise of Glen but even pulled out one of his Twin Spin Lures to save the day with some of our best bass of the show while most other fishermen were skunked that day. Jerry then introduced me to a friend of his that was moving to my area and Gary Clark became like a brother to me. As we fished locally and in exotic locals in other countries we often talked about Glen Andrews wondering what he was doing and even if he was still alive. McKinnis wrote recently, “In my business you can imagine how many times someone asks, ‘Who was the best bass fisherman you ever knew?’ Your probably not going to know this man, but Glen Andrews is my reply. I had a wonderful career and I owe a lot of it to Glen”. 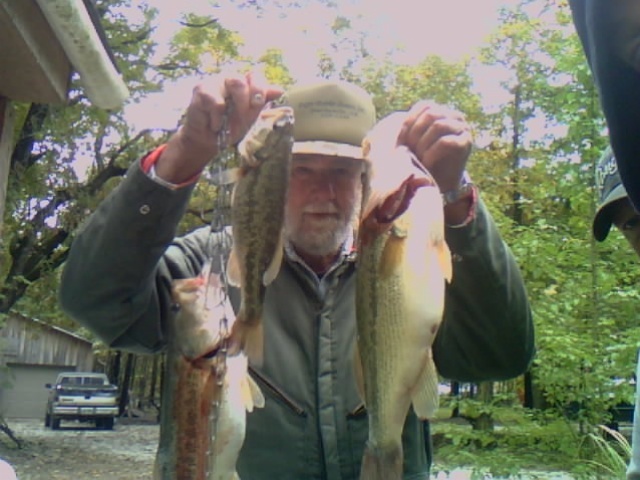 Glen wrote the book, “Techniques of Bass Fishing” in 1974 and authored the syndicated “Angler’s World” newspaper column. He also held bass fishing classes. Of interest to fishers, collectors and fishing historians, Glen was the founder of Andrews Lure Company. His friend Dave Hawk is credited with inventing the plastic worm, “Texas Rig”, but the Andrews Bait Company in Rogers, Arkansas, was the first to package, plastic worms, hooks and slip sinkers along with instructions on how to fish them. 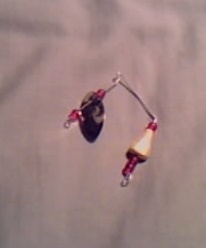 They also produced several other productive lures. When it was time to choose between family life and tournament fishing, Andrews decided on his family. We can only guess what he could have achieved fishing bass tournaments. There’s so much more to tell. This article can only introduce you to a small glimpse of Glen’s history and his perspective on the history of professional bass fishing that are captured in a new book written by his son D. Shane Andrews and Jeremy Miller and published by Dr. Todd Larson’s Whitefish Press. You can order it at http://www.whitefishpress.com. If you can help with our search for more old lures or other fishing history, pre-level wind reels, casting tournament items, manufacturers catalogs, bamboo and wood rods etc., please write Dan Basore, Historical Fishing Display, 3 S 375 Herrick Rd., Warrenville, IL 60555, or call 630-393-FISH, that’s 630-393-3474 or toll free 1-800-FISH-LAKe, that’s 1-800-347-4525.. You can also e-mail descriptions and jpg pictures to OLLURES@AOL.COM. Thanks for your help and support.